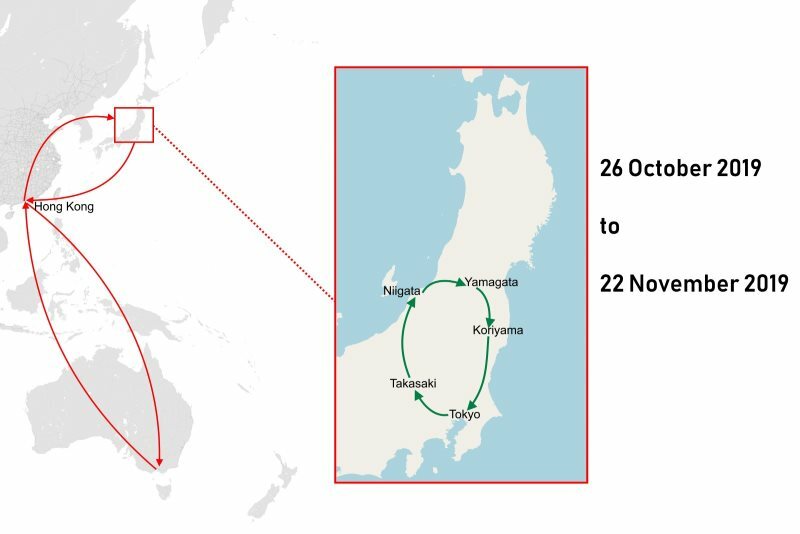 From the 26th of October I will be spending 4 weeks in Japan, again, in what has become an annual pilgrimage around November. This time I will be taking a clockwise loop north of Tokyo, but sticking to the main island of Honshu. Specifically, 6 nights in Tokyo, 3 Nights in Takasaki, 4 nights in Niigata, 3 nights in Yamagata, 3 nights in Koriyama and another 6 nights in Tokyo. All of these are new cities apart from Tokoyo, which is like my second home these days. As usual my focus will be hiking, I may even see some early snow on the mountains. I am getting pretty good at making these maps.